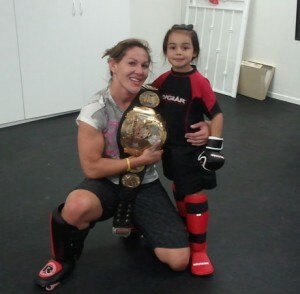 Aalijah Pineda and her coach Cris "Cyborg" Santos after training at Cleber Jiu Jitsu. Cris brought her belt for Aalijah to pose! 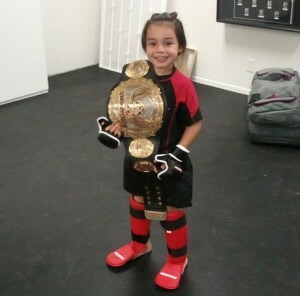 Well, may be Aalijah will want her own belt one day?